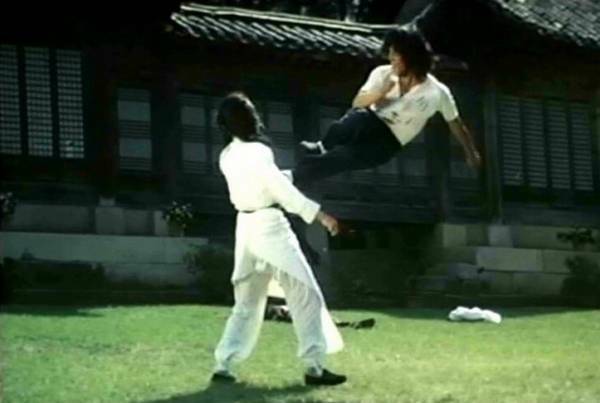 There have been many great Kickers in film and Martial arts over the years from Tan Tao Liang ,Casanova Wong,and John Liu ,but one one man stands out amongst them all partly because of one reason! Lightning Fast Killer Kicks. Hwang Jung the Korean Super Kicker often referred to as Thunderfoot or Silver Fox because of a couple of famous films that he starred in ,where he practically stole the show in terms of Martial art kicking ability,namely ''Drunken Master'' and ''Secret Rivals''. Plus it is well known that Hwang Jung Lee actually killed a man with a spinning kick in real life,must have been a Thunderkick. Born in Osaka Japan his family quickly relocated back to their home land to bring up their son. Hwang Jung Lee began training in Taekwondo from the age of 14 and eventually gained his 7th Dan Black Belt .he later became the Combat instructor for the Korean and South Vietnamese Armies, teaching Taekwondo from 1965. 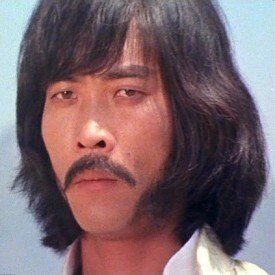 After this he appeared in many films ,but it was in 1976 that producer Ng See Yuen discovered him and took him to Hong Kong to star in a new film he was doing ''The Secret Rivals.This led to Hwang Jang Lee starring in Snake in Eagles Shadow and Drunken Master with Jackie Chan .It was these roles that made him the guy to have in your film as the villain ,this led to many films from 36 Deadly Styles to No Retreat No Surrender 2 ' Raging Thunder'' along side Loren Avedon and Cynthia Rothrock. If you pick up many 80's and early 90's flicks he will pop up somewhere ,you don't even have to see his face ,because once he starts Kicking ,you know it's Hwang Jang Lee. In 1996 Hwang retired from acting and returned to South Korea ,first to Run a Golf Tee factory and a Hotel in Seoul. He then ran a Bodyguard agency ,in 2003 he gained his 9th Dan in Taekwondo making him a Grand master. 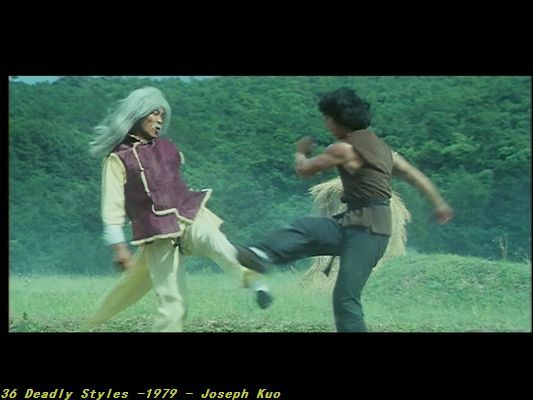 During his time Hwang also made a Taekwondo training video called ''The art of High Impact Kicking by Hwang Jang Lee.This is a very informative and intense video on his kicking ability and any budding Taekwondo exponent should view this without fail as it outlines some very important techniques to getting the kicks right. Now as with any good martial artists of Hwang Jang Lee's capacity ,you know if he hits you for real your going to get hurt ,this applies to any one in martial arts if they have a technique of pat and they use it against you .it's gonna be painful. Now the incident back in Hwang Jung Lee's early days ,what happened? Read Below. 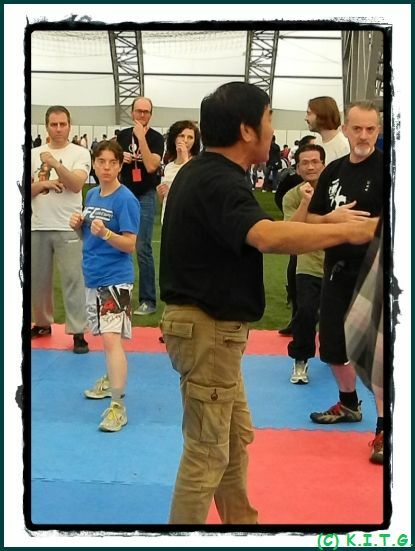 Now it was while Hwang was in the Korean army as a Taekwondo instructor that his ability was tested for real . A Vietnamese knife fighter challenged Hwang to fight, knives against his kicks. Hwang had refused but when the knife fighter lunged at him, Hwang fired a round kick to the knife fighter’s head, killing him instantly. The killing of the Vietnamese fighter broke news but Hwang was never charged as it was determined that it was self-defense. I say that was Justified in any ones book ,and if the same happened to you and you could defend ,i would say that was justified to. Hwang Jang Lee is a inspiration to all Taekwondo artists out there ,and if you have not seen him in action or witnessed his kicks in film or demo then i know a high ranking Taekwondo instructor that will set you straight on the matter. But one thing i know is Master Hwang Jung Lee is a very down to earth person who loves his fans and his dedication to Taekwondo never falters, his passion for the art is as if he had just started ,even though in his later years he still throws a mean kick. How do i know ? 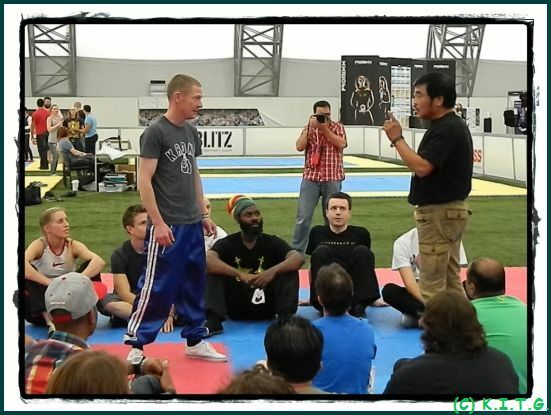 - well i have had the pleasure of meeting him and taking a seminar with him . 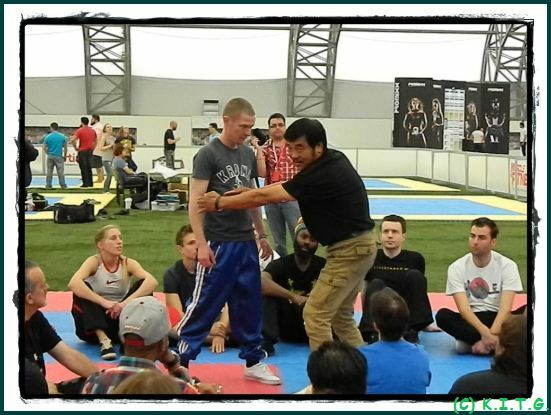 Some of the seminar pictures are below with many more on the event features page . I am The Snake , telling it like it is! 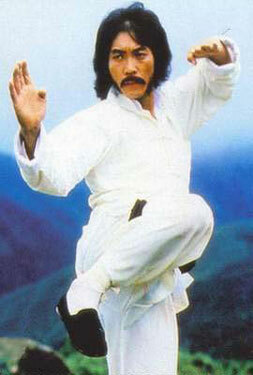 In to Taekwondo ,look up Hwang Jung Lee. This is a Korean TV series that Master Hwang appeared in 2009,he played Miyamoto Musashi and was credited as his Korean name Hwang Jeong Ri. So for all things Korean ,click the picture. 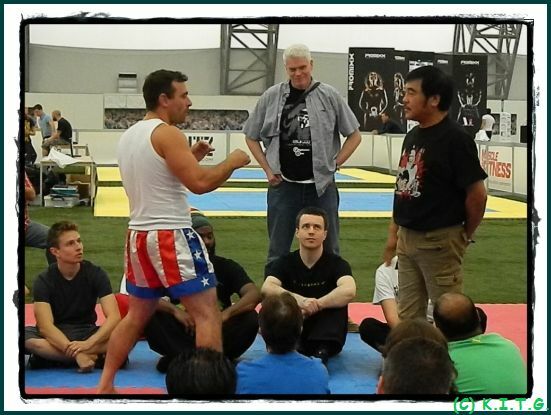 Here are some photo's of Master Hwang Jung Lee on his visit to the UK , for the full picture visit the feature page on the event.